Those lucky enough to explore the myriad classic treasures at this year’s Monterey Car Week in California would have stumbled across a very different jewel in amongst the dazzling vintage metal on display. 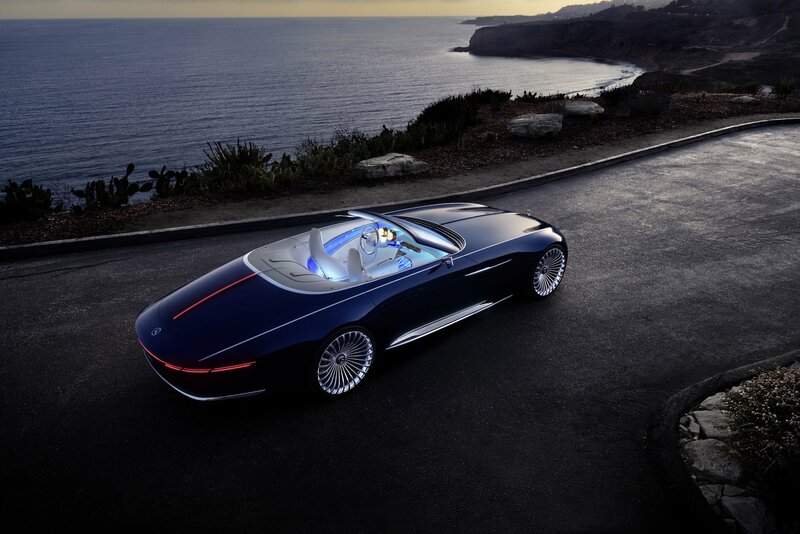 Mercedes-Maybach chose the sun-drenched setting to reveal its Vision Mercedes-Maybach 6 Cabriolet concept: an all-electric luxury barge that develops a truly scintillating 750hp, thanks to its four compact permanent magnet synchronous electric motors, and features styling that “pays homage to the glorious automotive haute couture”, according to its designers. Readers with a particular penchant for The Great Gatsby will be struck by the unashamedly art deco design language, which runs throughout the six-metre body, the ‘organically’ shaped wings and the chrome trim elements. 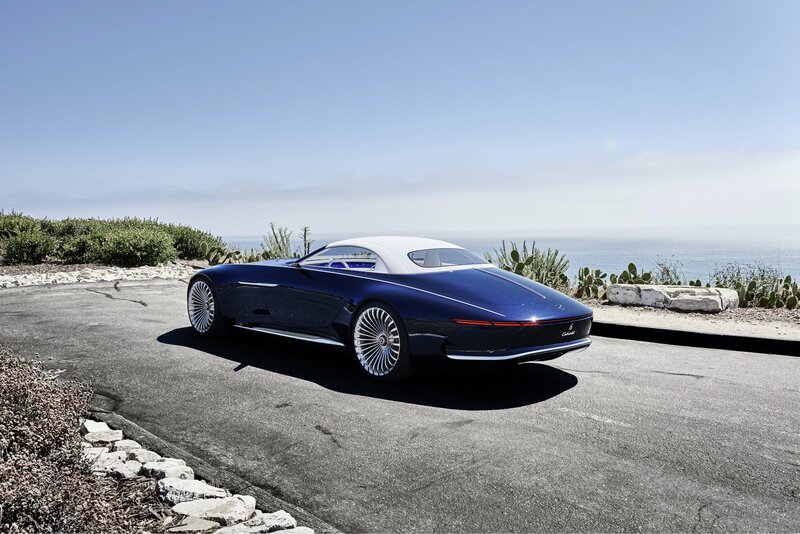 Inside the Mercedes-Maybach 6 Cabriolet, the concept’s designers have fused typical Mercedes-Maybach levels of luxury with forward thinking technology, including rose gold flourishes and leather finishing that takes inspiration from Chesterfield furniture and floating OLED displays. 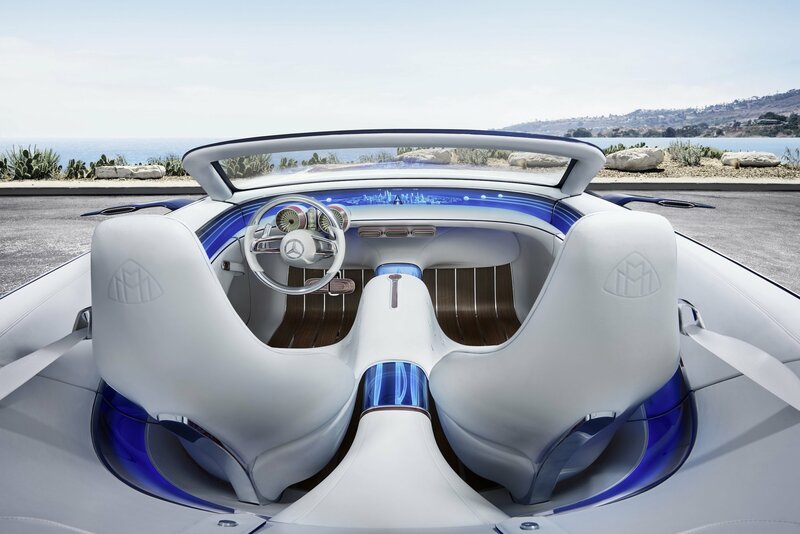 It is more akin to a luxury yacht than a typical luxury cabriolet, with wood trim elements meeting said modern technology head-on, such as the floating, transparent centre tunnel, which visualises the drive system’s electrical energy flow for the passengers by means of blue fibre optics but neatly sits within the flowing design of the dash and trim. On top of this, the main driving functions as well as information relevant to the location (e.g. restaurant recommendations or information on points of interest) are shown on the windscreen via two head-up displays. 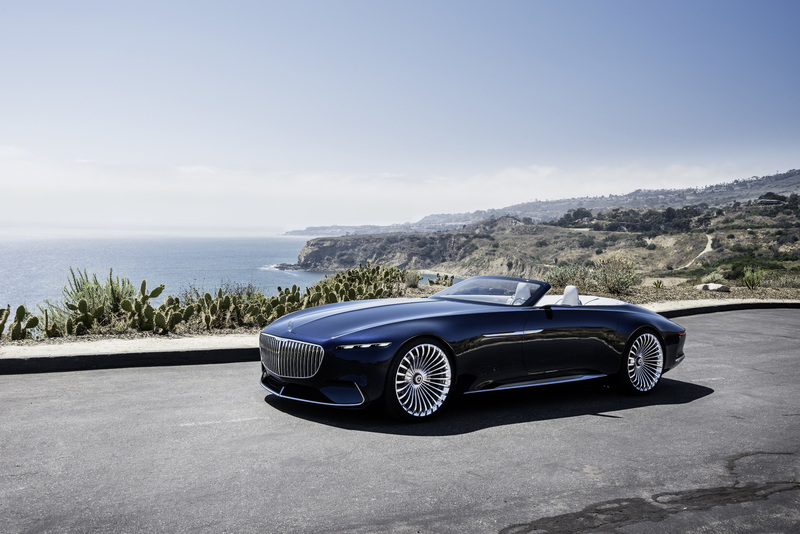 Powering the Mercedes-Maybach 6 Cabriolet is a system that includes four compact permanent magnet synchronous electric motors (one at each wheel) and the latest battery technology that resides under the body. The electric propulsion set-up is enough to see the 0-62mph sprint dispatched in under four seconds and a top speed of 155mph is achievable. 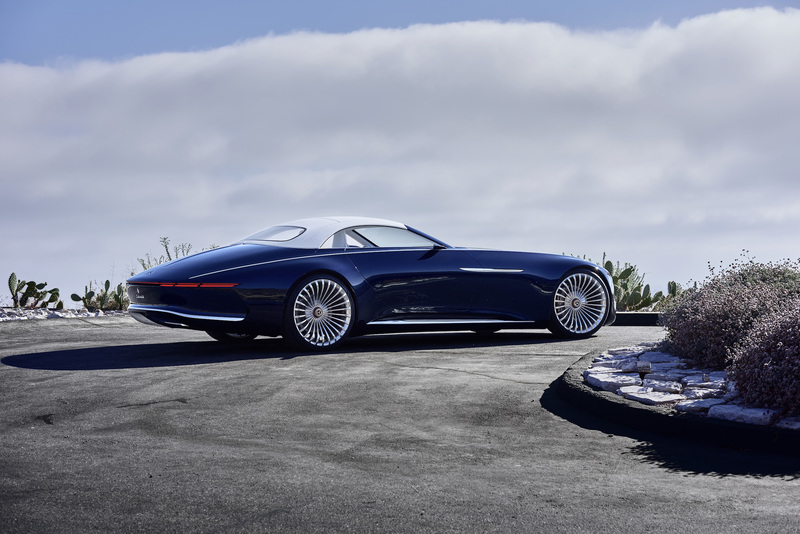 However, Mercedes-Maybach claims it can waft for 311 miles on a single charge. 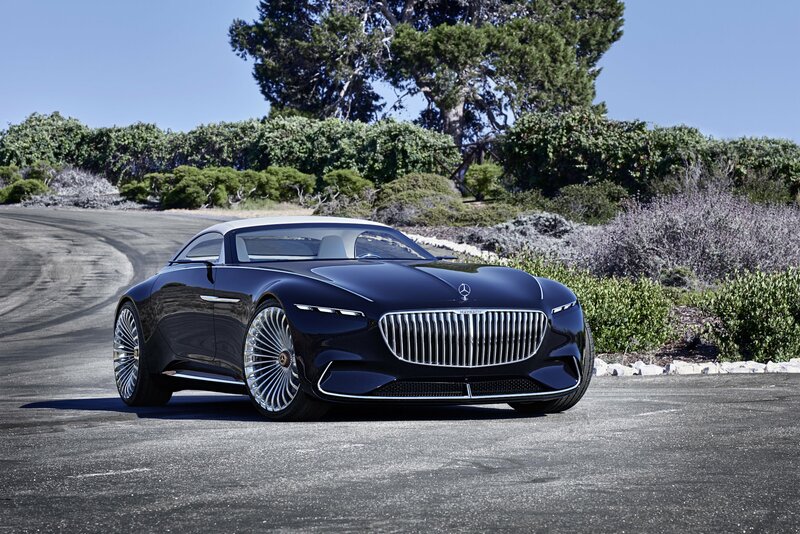 Naturally, this will remain a design study for now, with Gorden Wagener, Chief Design Officer of Daimler AG, explaing that the Vision Mercedes-Maybach 6 is the “perfect embodiment” of the marque’s design strategy. “Breathtaking proportions combined with a luxurious “haute couture” interior help to create the ultimate experience,” he said.